One of the most exciting things for you as a parent is seeing your child get accepted into college. If you are going through a divorce, you might not want it to affect your child’s future college career. You may be worried about how you are going to manage college costs once the divorce is final. Every parent dreams of their child going off onto higher education, whether that may be college or another type of post-high school training program. 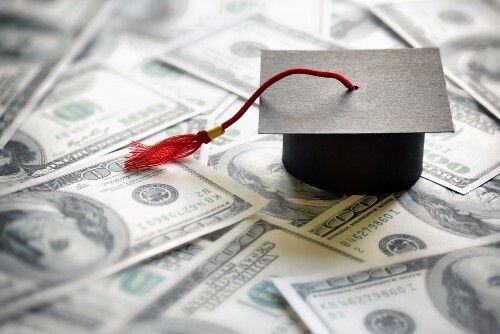 All of these programs come at a cost and the question often arises, “How are we going to get the money to pay for this?” If the child has a 529 plan or some other college savings plan that was earmarked for his education prior to the divorce, that’s great. In that case, we’ll tap into that asset first. If the parents haven’t planned for college and no money has been set aside for college, how are his college expenses addressed post-divorce? I counsel my clients to have these conversations early and often, beginning as early as the child’s sophomore year of high school. If we’re already in the midst of the divorce, the time to have those conversations is now. At the conclusion of a divorce, a good settlement agreement doesn’t leave college open-ended, so the parents have a responsibility to talk. Everyone involved is obligated to participate in financial aid planning and the application process to ensure that the child exhausts all opportunities to pursue scholarships and other ways to reduce the cost. The family may decide this child can only go to an in-state school. Maybe they will have to go to a public college versus a private college. You and your former spouse cannot wait until the child’s senior year of high school to discuss these issues, nor should they be issues that remain silent. College savings and expenses are a very, very important issue that must be addressed during the course of your divorce. If you are worried about college costs, contact New Jersey Divorce Attorney Tanya Freeman to schedule a free consultation.